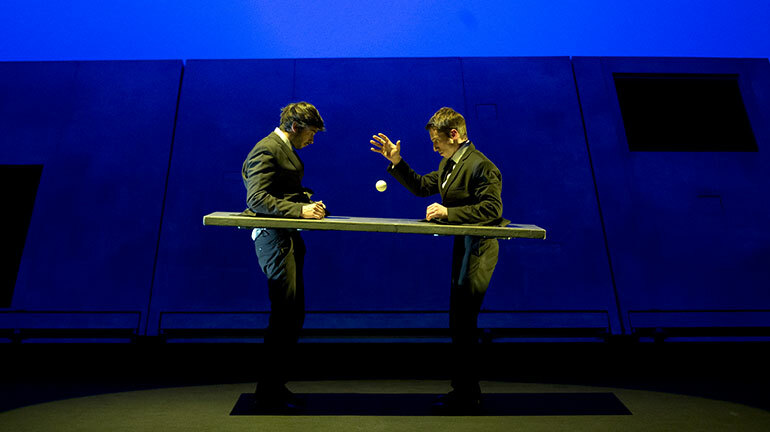 Plan B is the second spectacle of a trilogy, which combines juggling and acrobatics with space constraints. 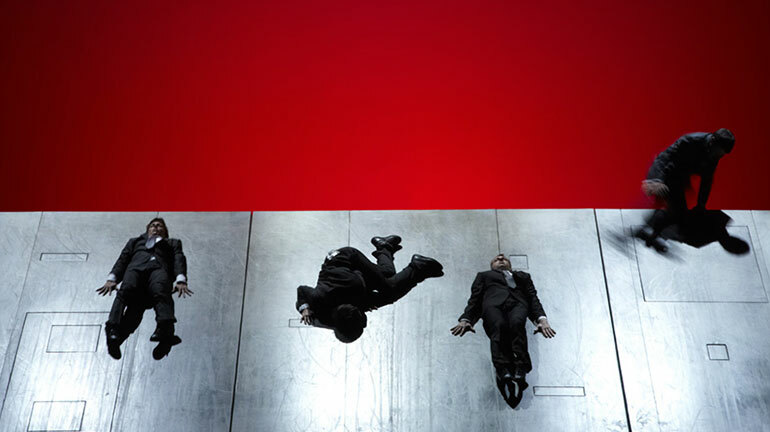 In JUI, the work on the cube, the volume, had revealed the rhythm and musicality of juggling and offered a different perception of this discipline: instead of displaying it, approaching it from its visual side, we proposed listening to it. With Plan B, it’s the plan we explore. 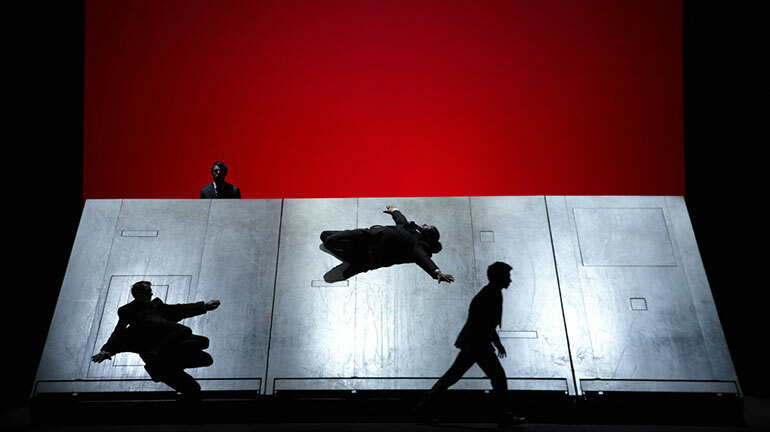 Which puts the scenography at the centre of our work. This special geometry requires a certain reference to movement and acrobatics, in a tenuous link with the laws of physics. We attempt to incorporate it in the broadest possible way, and to perceive what dreams, qualities, dangers are concealed behind this dialogue with gravity. Decomposition of movement reminds us of the cinema and of photography, for example the work of Muybridge or Marey – who in fact took a great interest in acrobatics. For the cinema, I would cite Méliès, who used cinematic artifices for the purposes of magic and illusion. We pay tribute to him in Plan B, except that with us, the artifice doesn’t disappear behind the illusion: on the contrary, it’s rather a question of revealing the device, underlining its simplicity, the paucity of technical resources, and only using its poetical content. Different episodes of the show are inspired by the cinema, citing Keaton for example, who remains the actor’s reference, in the sense that his work consisted in adopting several artistic practices. We are fond of this approach: bringing together on the stage music, acrobatics, juggling and dance, as means of doing our job as actors. Basically, my role was to design and construct Plan B, then bring together the artistic team. Light and sound are very important in our shows. 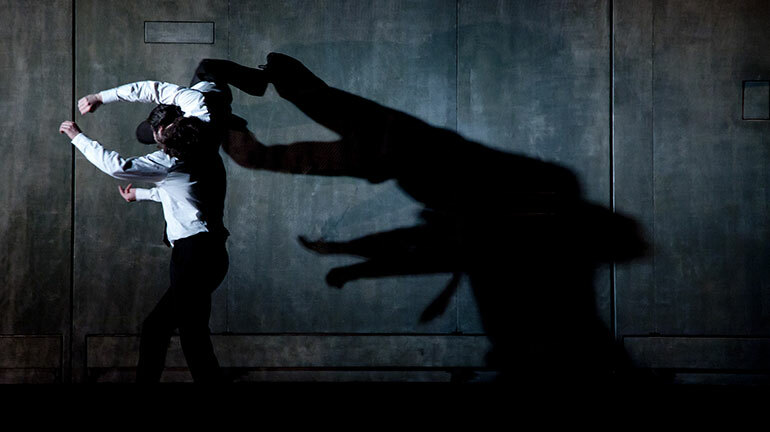 The actors are acrobats, jugglers, musicians in one. 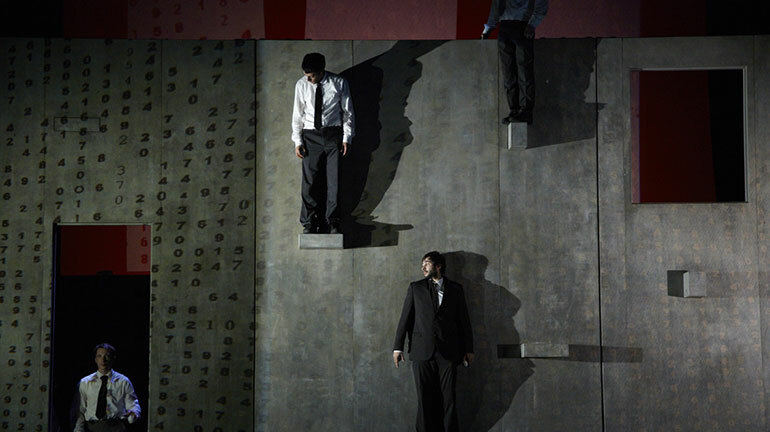 They all create the entire artistic material based on the constraints of the show, in particular the scenography. Each member of the team is responsible for their own work, develops their own scenic style, while trying to connect it with their internal universe. 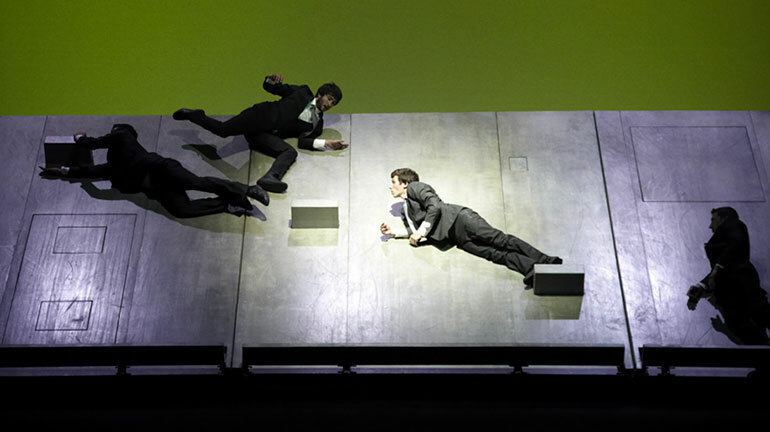 This produces a fragmented style, which Phil Soltanoff bases himself on to develop the staging. His presence is very important, not only for the show, but also for each one of us. Are you really sure that a floor can't be also a ceiling ? 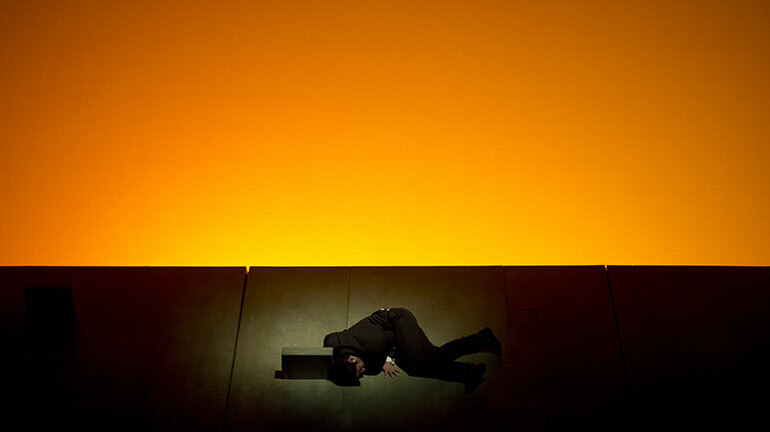 A play should always be an accident waiting to happen. I love feeling like with each second that goes by, a disaster has been avoided. 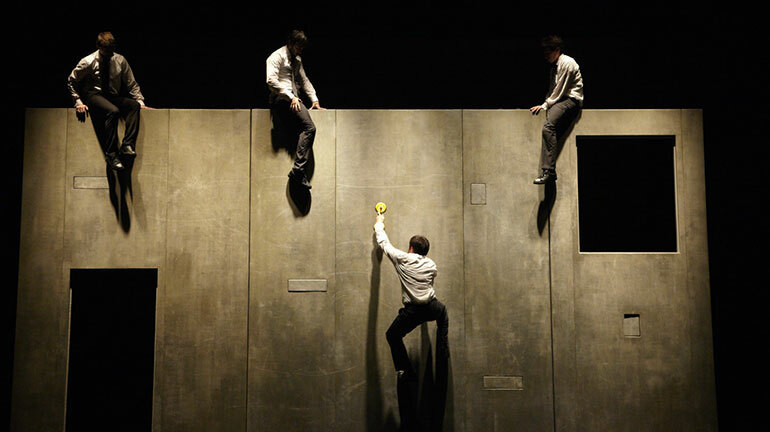 Changing axis, breaking verticality, adopting a sideways position… Aurélien Bory and Phil Soltanoff bent over backwards to come up with their Plan B, a play for four men, acrobats and jugglers. That was back in 2003. Bory, trained as a juggler, wanted to run away from the circus; Soltanoff, a stage director, dreamt of more physical theatre. 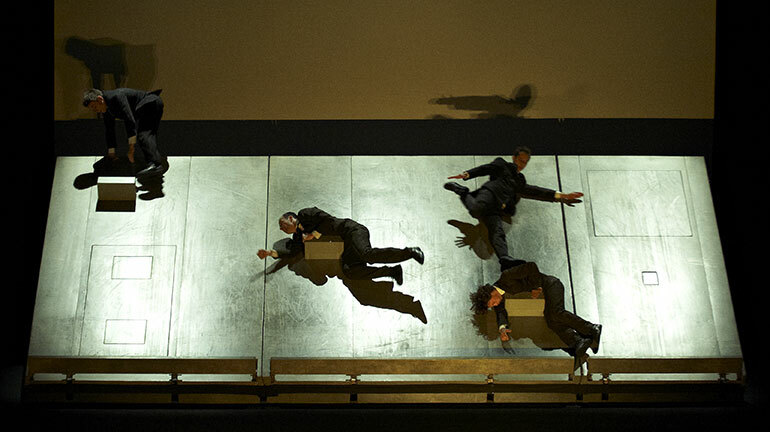 Together, they raised the stage, creating one on an incline like a children’s slide. That was the beginning of Plan B, and let the sliding begin! 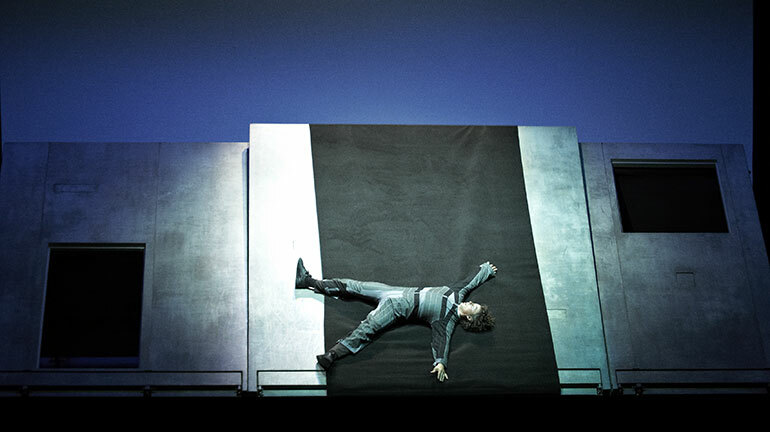 This tilted stage, which as the show progresses takes various positions and undergoes various transformations, forces the body to constantly adapt in order to maintain balance. Finding new points of support, and playing with it to explore totally new physical situations, makes Plan B spin at top speed. Just for the pleasure of expressing pure vitality and playing to find a solution to every problem, the performance, with its many drawers and pitfalls, lives up to its authors’ ambitions. With a scientific spirit and a poetic fire, torn between observation and contemplation, the Bory-Soltanoff pair of artists, no matter how smitten they are by space, make humans the focus of their study, observing our ability to bounce back in a moving and more or less dangerous environment. 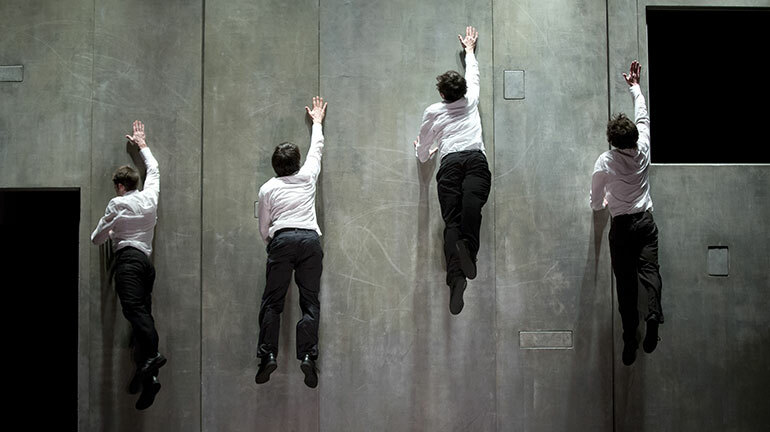 The inclined wall becomes, like a circus apparatus—despite Bory’s most valiant efforts, the dance floor is never far away—the ideal vector for a close dialogue during which the human being is constructed in his relationship with others and with the world. Even if this means choosing not to stretch out a hand to a friend in trouble at the bottom of the wall! Plan B turns the stage into a zone of all kinds of traffic. Body, movements, as well as juggling balls and images filmed live, flow in a stream of actions and reactions, gags and counter-gags. Underscored by a gentle burles­que that’s almost elliptical in the way it slides into the cracks before tipping into outright comedy, Plan B sometimes creates a strange sort of addiction, at the risk of seeming like a cheap string of feats. By offering up a different perspecti­ve of verticality and gravity, Plan B plays with the spectator’s perception, who views this gently sloping world while constantly trying to set it straight. This back-and-forth between what we see and what we know to be true becomes an exercise in visual geometry. We appreciate the angles of attack as well as the acrobats’ amazing contortions, as they create illusions with fierce determination. Plan B is the baby of Aurélien Bory, former student of physics and architectural acoustics. 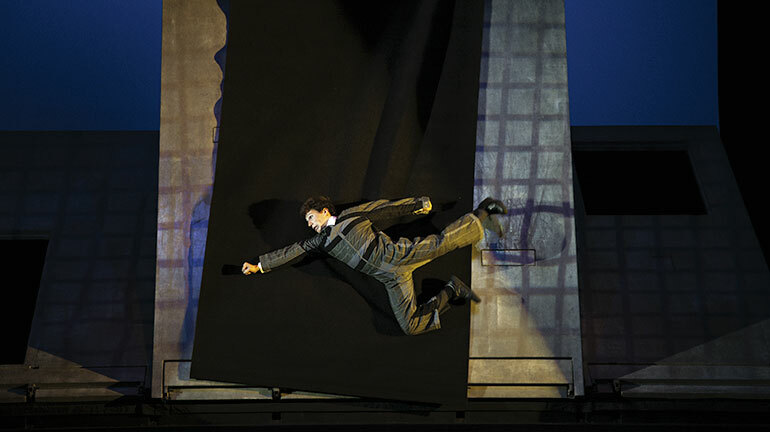 He has also created a distinctive style: each of his shows takes on exuberant staging. 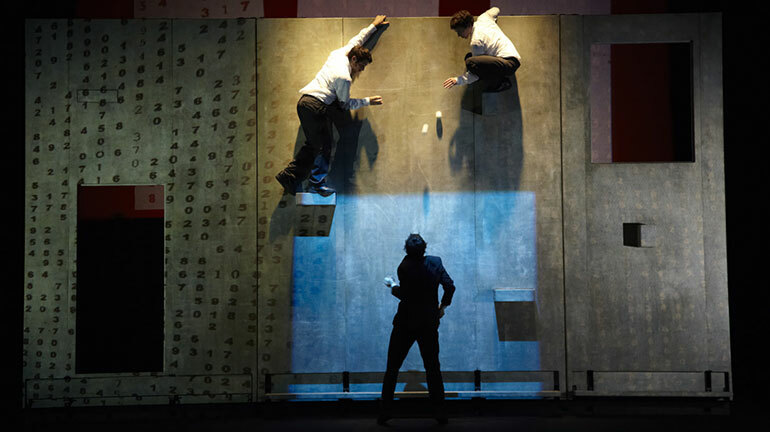 Whether it’s the enormous robot in Sans objet (2009), brought to life by two cosmonauts orbiting around it, or a big top under the big top in Géométrie de caoutchouc (2011), manipulated by eight actors, Bory works hard to find as many configurations as possible to solve a single equation. 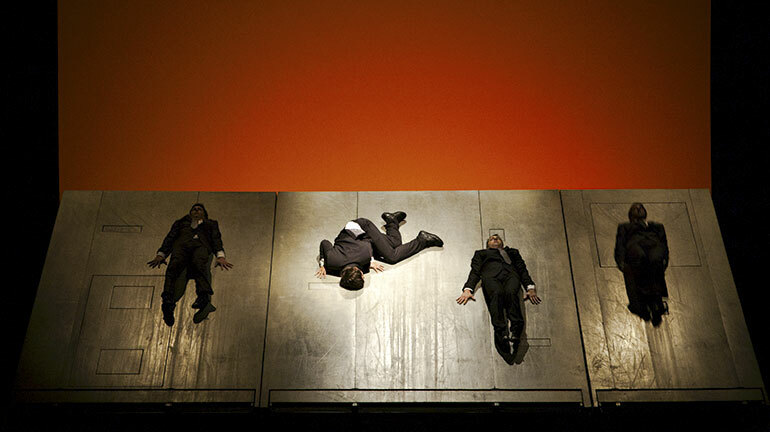 On 10 January, Plan B will celebrate its tenth anniversary with its original cast composed of Olivier Alenda, Alexandre Rodoreda, Loic Praud and Aurélien Bory. 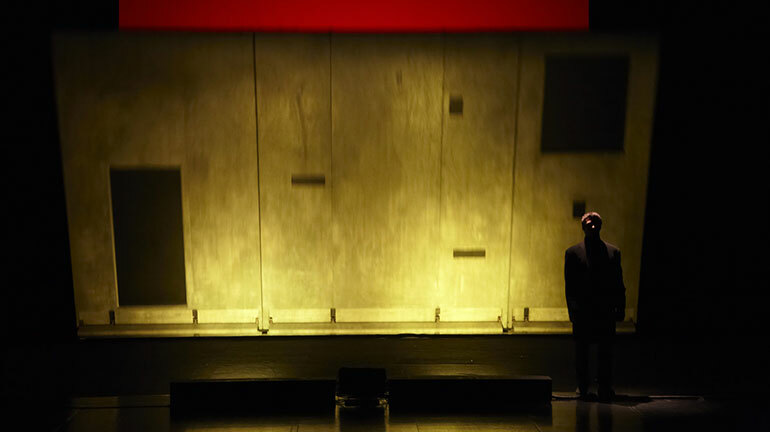 We’ve been talking about the four walls of the stage for a long time: the back wall, the side walls and that invisible wall that separates the stage from the audience. 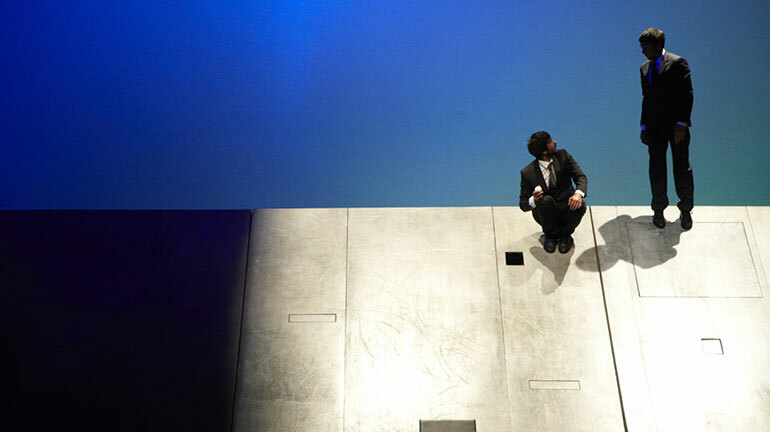 But there is a fifth wall: the plane of the set. COPRODUCTION IN 2003 Théâtre Garonne, scène européenne / Toulouse, Théâtre de la Digue /Toulouse, Le Train Théâtre-Scène conventionnée / Portes lès Valence // With the help of Centre de Développement Chorégraphique de Toulouse / Midi-Pyrénées Service culturel Ambassade de France / New-York, TnBA-Théâtre national de Bordeaux en Aquitaine // With the support of Ministère de la culture/Direction Générale de la Création Artistique, Convention Institut Français/Ville de Toulouse, ADAMI. COPRODUCTION IN 2012 Le Grand T – Théâtre de Loire Atlantique / Nantes, Théâtre du Rond-Point / Paris // With the help of Théâtre Garonne, scène européenne / Toulouse, ThéâtredelaCité – CDN Toulouse Occitanie, L’Usine centre national des arts de la rue et de l’espace public / Tournefeuille Toulouse Métropole. 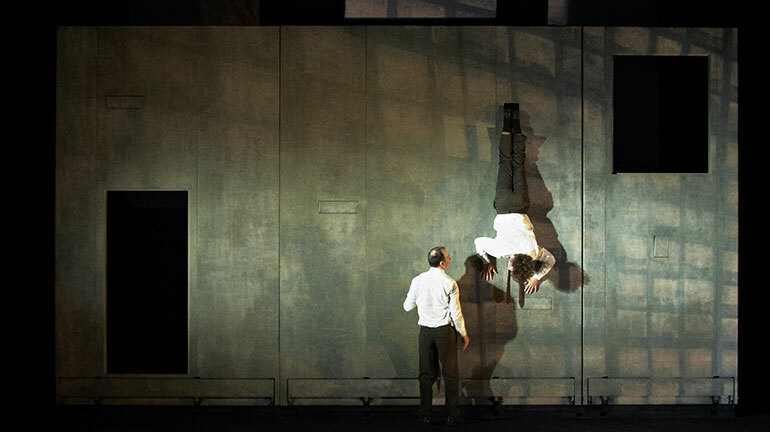 Compagnie 111 – Aurélien Bory is under funding agreement with the Regional Directorate for Cultural Affairs Occitanie / French Ministry of Culture and Communication, Region Occitanie / Pyrénées – Méditerranée and the City council of Toulouse. It is supported by the Departmental Council of Haute-Garonne.